Have you ever attended an auction? The excitement, competition and fun atmosphere can be a great environment in which to sell or buy a home. 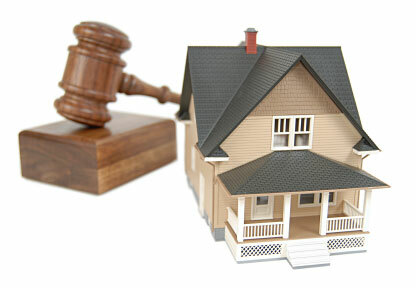 Many people are familiar with personal property auctions but have never attended a Real Estate auction. I’ve put together some information on Real Estate auctions that you might find useful. Absolute Auction - In this type auction there is no minimum bid (reserve) that must be met. The highest bidder gets the home. This is a great type of auction to use to really get the competitive bids coming in. As a seller you know that the house will definitely be sold that day and as a buyer you know you have as good a chance as anyone to be the winning bidder. Minimum bid auction - In this type of auction the auctioneer will accept bids at or above a published minimum price. This minimum price is always stated in the brochure & advertisements as is announced at the auction. Homes that are auctioned are sold in “as is” condition which means that what you see is what you get. All home inspections must be completed before the auction. Both buyers and sellers can have real estate professionals represent them and these professionals work with the auction company to ensure that the transaction comes together smoothly. What type of property is a good candidate for an auction? If you’d like more information on Auctions and how they work contact me today.